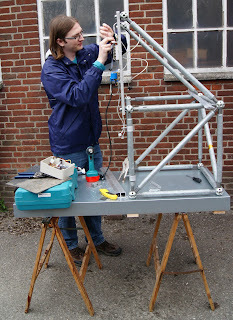 Jeroen is an electrical engineer with experience in designing and building electronics for rockets and test benches. Jeroen graduated for his bachelor's degree in Electrical Engineering at Delft University of Technology this year. For the next few years, he will continue his education with a Master's degree in Embedded Systems. 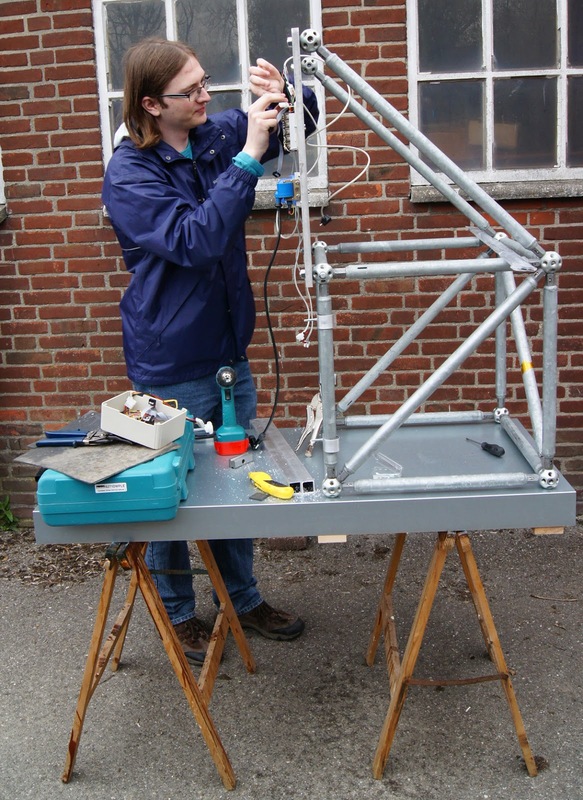 Alongside his studies and White Label Space work, he is active within Delft Aerospace Rocket Engineering, having worked on the electronics for the Dutch CanSat competition (see http://www.cansat.nl/) and Stratos rockets. 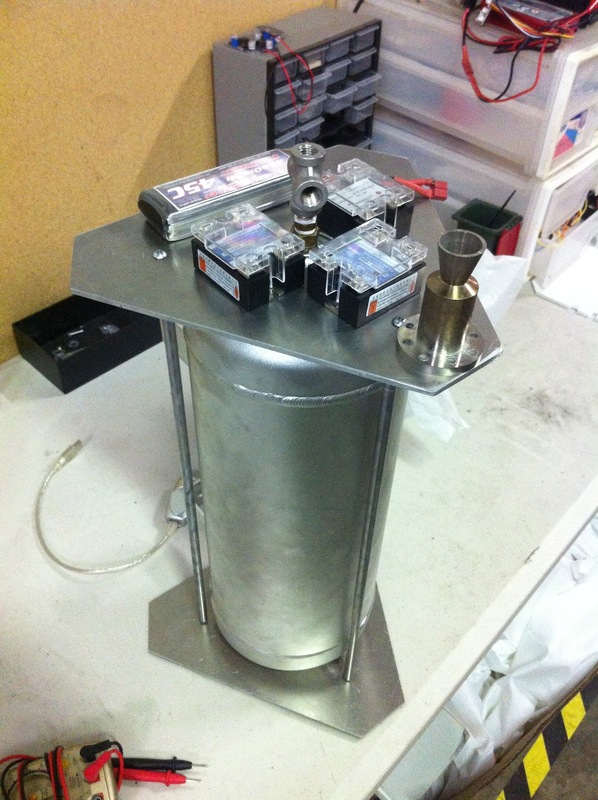 Our first hovering rocket vehicle is starting to take shape. This photo shows some of the pieces positioned as they will be on the finished product. The propulsion system will use three pulse-modulated thrusters running on monopropellant hydrogen peroxide. The project will give the White Label Space team valuable experience in designing and operating rocket vehicles, thus accumulating know-how that will later be used to develop our moon lander. Brush up on your GNC know-how and learn some interesting technical details about NASA's first spacecraft to soft land on the Moon! This video presentation by White Label Space's GNC specialist, Bart Hertog, explains a simulation of the Surveyor 1 terminal descent based upon published NASA documents from the 1960s. Bart undertook this simulation as a validation exercise to prove that his method can give accurate results for the White Label Space lunar lander mission. The results of the validation exercise were very good in terms of the propellant consumption and other important parameters of the landing stage. Some discrepancies were found for the braking motor but these can be traced to incomplete data sets, specifically the lack of an accurate thrust versus time curve for the main retro rocket motor. Andrew Barton and Takeshi Hakamada presented this update of White Label Space's progress at the GLXP team summit held in Washington, DC in May 2012. Three space enthusiasts, inspired by the 50-year anniversary of John Glenn's orbit of the earth, launched a weather balloon with a looping video message to the entire world: "Now is the time for us to go back into space". Also check out their site for the behind scenes look at the production effort, which surprising seems to include the first (successful) marriage proposal filmed in near space and watched on the ground. The White Label Space team is a step closer to having the necessary propulsion system for its GLXP moon lander. 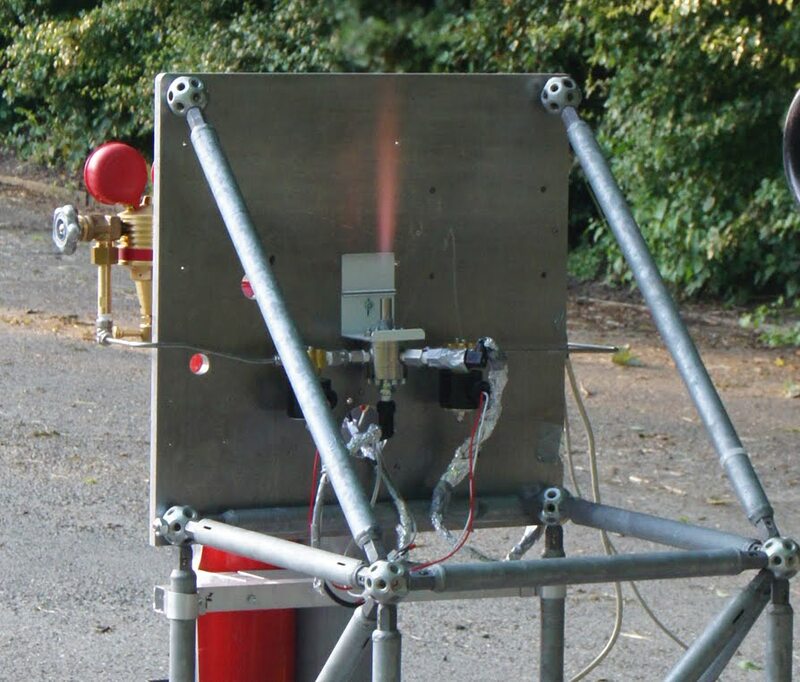 This photo shows a successful test of the torch igniter conducted last week. 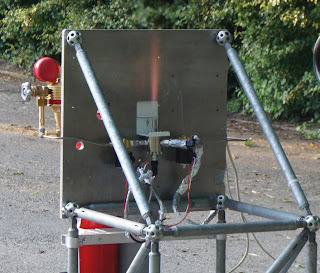 The next step is to integrate the torch igniter with the rest of the rocket motor and to initiate the first firing test of the complete liquid bi-propellant system.